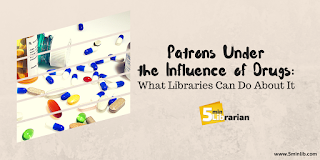 One topic you don't hear too often is what to do about patrons who come in under the influence of drugs. At our recent YA Collaborative Group meeting, we invited two Community Police Officers to talk to a room full of teen and youth librarians about this important topic. They shared some great tips that I'd like to share with all of you, too. Across the United States, we have an opioid crisis. So much so that Marijuana isn't even much of a concern anymore. With these scary statistics, we all need to work together to end this crisis. Ignoring this problem won't make it go away. 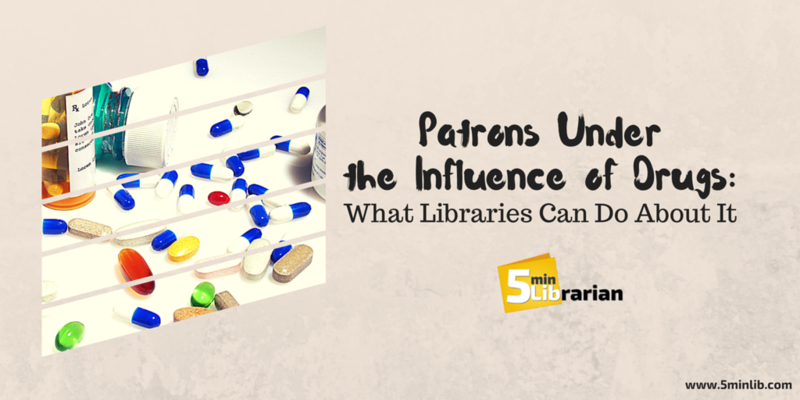 Does your library policy cover drug use? Our presenters recommended including something that states: that if a person is suspected of drug or alcohol use, library staff will activate the EMS system (basically calling 911). Update: since this article has been published, many more overdoses have happened in libraries. The question isn't "if", but "when" will this happen at your library, too. 2. Partner with your community officers or school resource officers. You can ask your local law enforcement for regular walk-throughs to your library to see what's going on and to get to know patrons and staff. If they unable to visit frequently, at least get their contact information. If you suspect a patron is using drugs but have no proof, you can still call and ask them to have a chat with the patron, especially if they are a teen/child. Chances are, they are already on the police's radar. So in these states, don't worry about getting someone "in trouble". That isn't the focus anymore. People under the influence of drugs will often try to refuse medical attention because they don’t want to be arrested for possession. 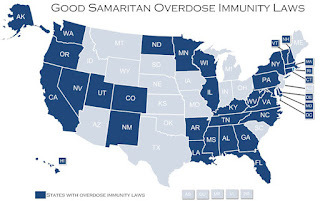 It’s important that they know about the drug overdose immunity and get the medical help they need. Person may collapse (people suffering from an overdose usually die from respiratory failure – they may have a pulse, but they're not breathing). Keep in mind that people with certain medical conditions might display similar symptoms when they are experiencing an issue related to their condition (such as diabetic shock, so you should check for an insulin pump or medic alert bracelet). It can be purchased at some convenience stores. It can produce really bad effects. People under its influence tend to exhibit very bizarre behavior. If their heart is still beating but they are not breathing, you can use a Narcan (a nasal spray that is used to reverse the effects of opioids). Narcan can be purchased over the counter at stores such as CVS and Walgreens. The effects are only temporary! It lasts about 30 minutes so the person would still need immediate medical attention. After administered, the person will most likely be combative when they first revive because they will be confused as to what’s happened. There is some concern that towns might be sued if they administer this to a person without their consent, but the officers said that the Good Samaritans Law should protect from any lawsuits. They keep hold of their stuff at all times. They walk around a lot (in and out of rooms, going into the bathroom frequently, etc.). They use their cell phones a lot. They’re scratching themselves a lot. If you suspect that a patron has a drug problem, don’t hesitate to contact officers (especially Community Officers and School Resource officers) so that they can privately talk with them to try to help them. 6. Did You Also Know...? You can order professional brochures on drugs and other topics from samhsa.gov for just the cost of shipping. They also provide free downloads, too. Some schools have allowed Teen, Children, and Youth Librarians to participate with teachers during their professional development days to learn more about these kinds of topics. Free training! And possibly, a chance to network with more people in your community. Reach out to drug rehabilitation centers for any possible trainings. Our local center is actually offering a free Narcan training next week and giving out two free doses of Narcan to all participants. That's a $60 value! Please consider keeping a Narcan on hand. They last a long time, and you could possibly save a life. Special thanks to Amanda Maclure for taking such great notes at our YA Collaborative Group Meeting and letting me use them here. Also, thank you to our local police department for coming out and talking to us about this. Awesome! I just ordered some of the fliers for my teen area!